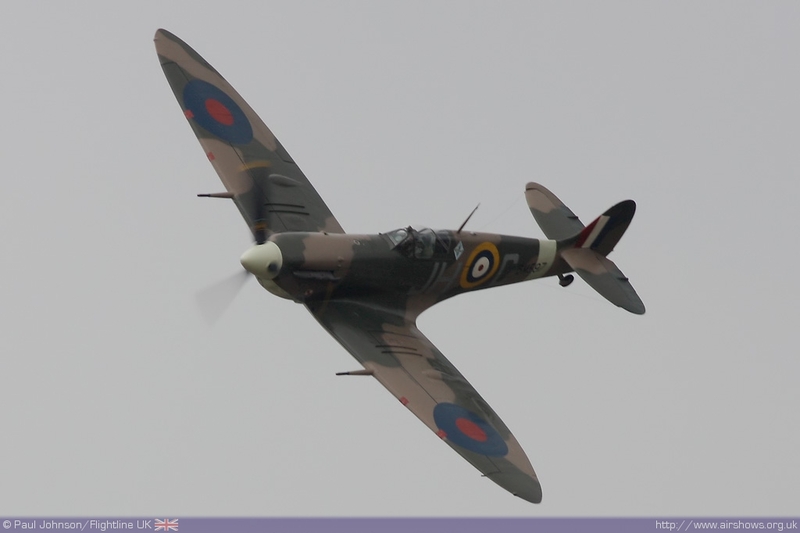 The Spitfire is the RAF's most iconic aircraft of all time and perhaps most celebrated for its exploits during the Battle of Britain despite being less numerous that the Hurricane. R.J Mitchell's masterpiece first flew on the 5th March in 1936 from Eastleigh Aerodrome in Hampshire; what is now Southampton Airport. 75 years on, the Spitfire is still held in great affection by the British public and examples of the aircraft are airshow stars wherever they appear. 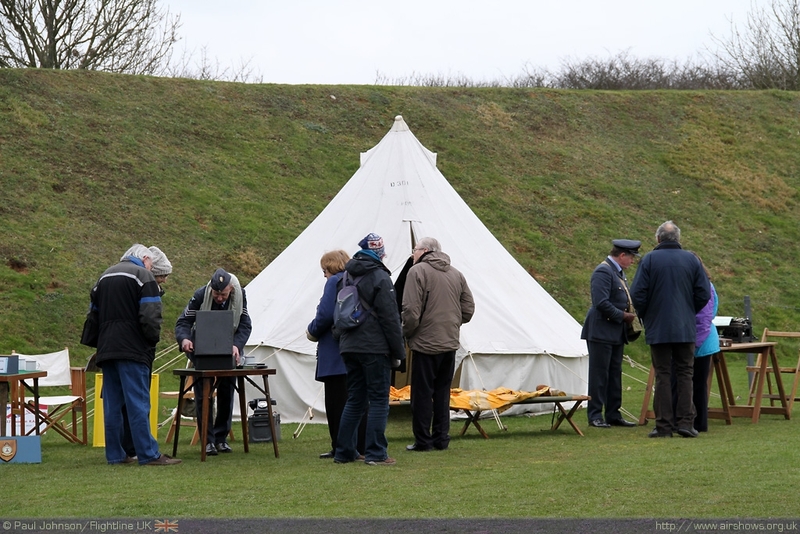 To mark the 75th Anniversary of the aircraft first flight, events were held in Southampton and at the Battle of Britain Memorial at Capel-le-Ferne. 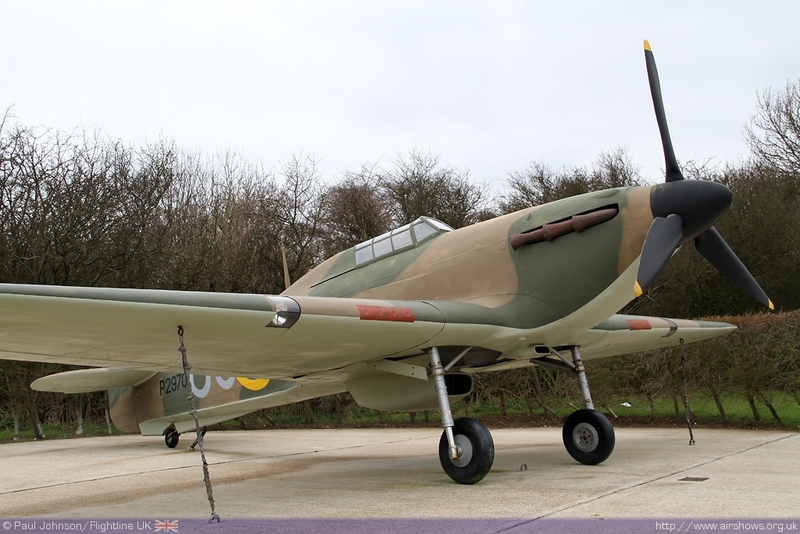 Paul Johnson/Flightline UK reports from a chilly Capel-le-Ferne. All photography copyright of the author. Despite the Hurricane numerical advantage, the more glamorous looking Spitfire became the iconic aircraft of the Battle of Britain. 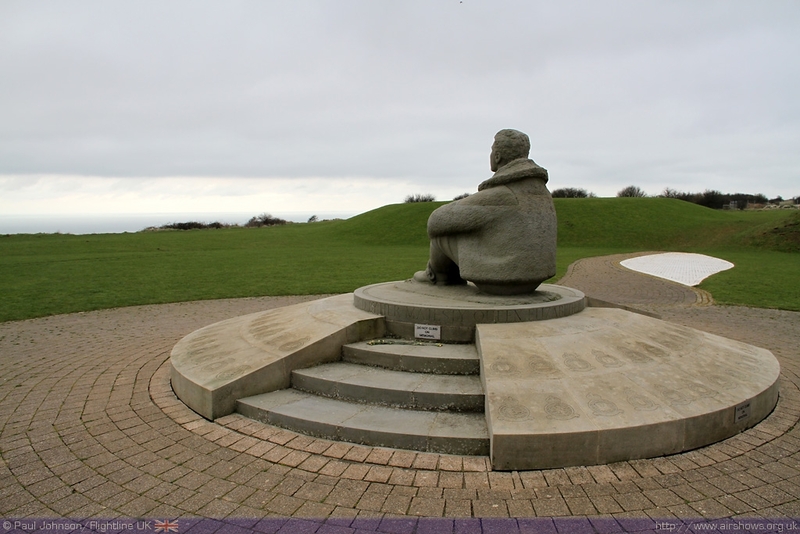 The main memorial to the Battle is found at Capel-le-Ferne perched on top of the cliffs just to the north of Folkestone overlooking the English Channel and what was occupied France. 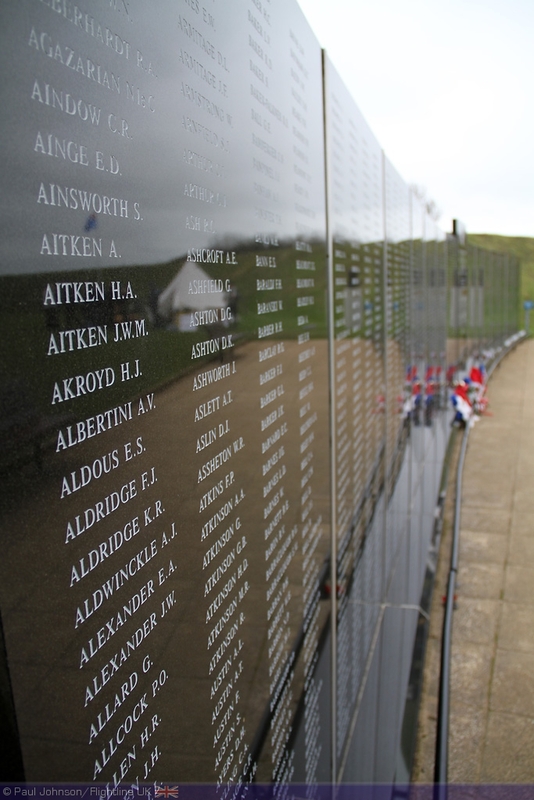 The memorial is a permanent memorial to the bravery of the Royal Air Force crews of all aircraft and squadrons that fought during the Battle. 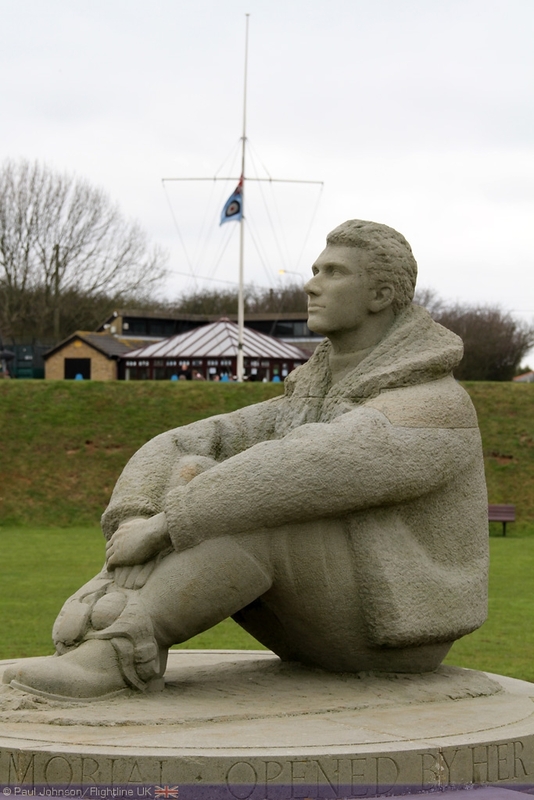 The centrepiece of the memorial is a statue of a RAF pilot sitting looking out to France representing the dedication and vigilance of the RAF pilots that fought in 1940. 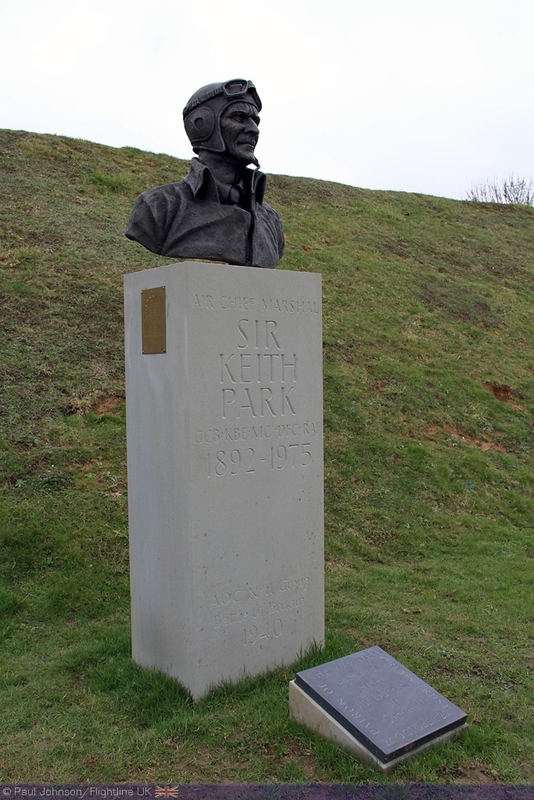 Behind the memorial stands the Christopher Foxley-Norris Wall which remembers all the individual pilots that took part in the Battle and there is now a new statue of Air Vice Marshall Sir Keith Park which was unveiled in October 2010 by the Duchess of Cornwall. 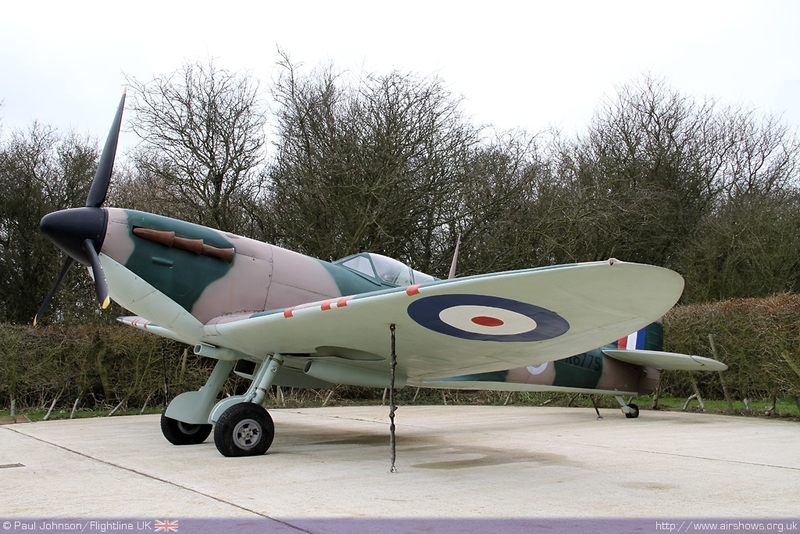 For the event to mark the 75th Anniversary of the Spitfire's First Flight, the centrepiece of the celebrations at Capel-le-Ferne was the replica of the prototype Spitfire (K5054) owned by the Spitfire Society and normally kept on display at Tangmere Aviation Museum in West Sussex. The original K5054 had only a short life before it lost in a fatal landing accident at Farnborough on the 4th September 1939, just a day after war was declared. 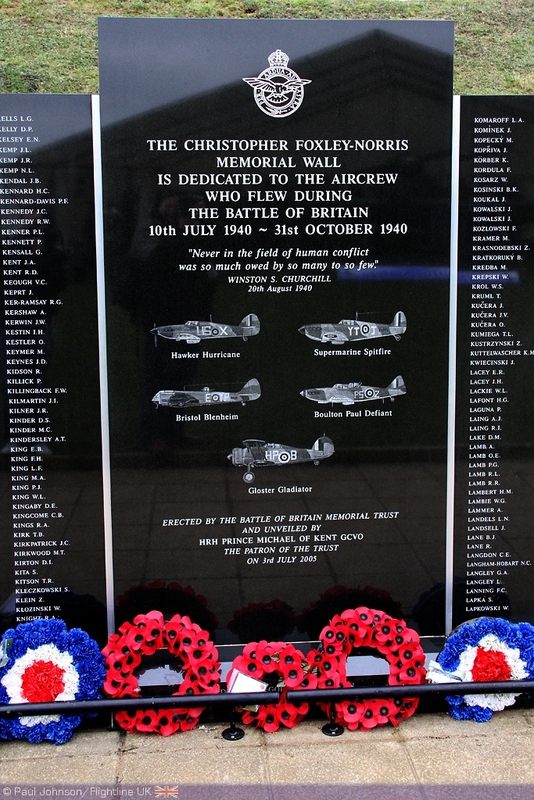 The replica was created as a permanent memorial to those that had worked on the aircraft including the design team at Supermarine in Southampton. 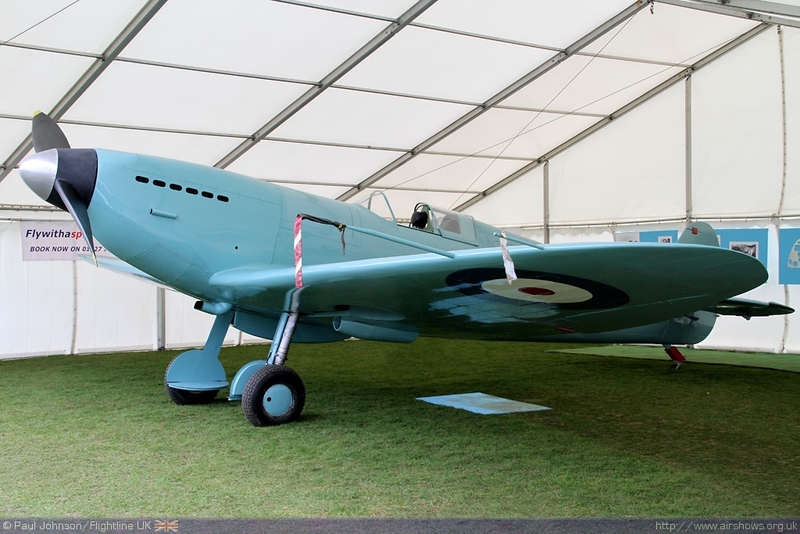 The project was started by Sir Jeffery Quill, one of the original Spitfire test pilots, and is an exact replica of the prototype configuration with its distinctive stub exhausts, undercarriage doors and light blue colour scheme. 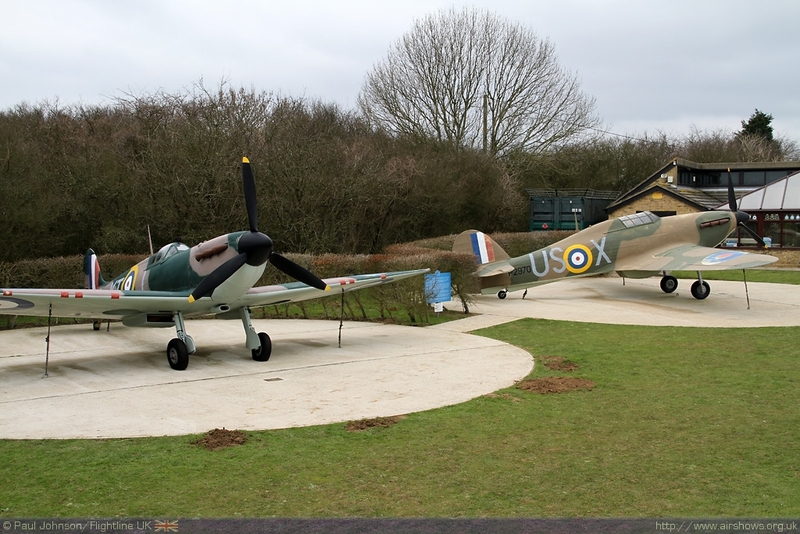 Joining the replica were a small group of RAF re-enactors and the Memorial's resident Spitfire and Hurricane replicas next to the visitors centre. In the skies over Capel-le-Ferne, there was also a flying Spitfire in the form of the Historic Aircraft Collections Spitfire Vb BM597 flown by Charlie Brown. The aircraft was flying for the "Fly with a Spitfire" Experience trips which allows people to fly alongside a the Spitfire in the comfort of a Bell Jetranger helicopter over the famous white cliffs. The anniversary is bound to feature at a number of airshows throughout the summer, not least the Duxford Airshow in September when hopefully the celebrations will be a little warmer and less wintery! 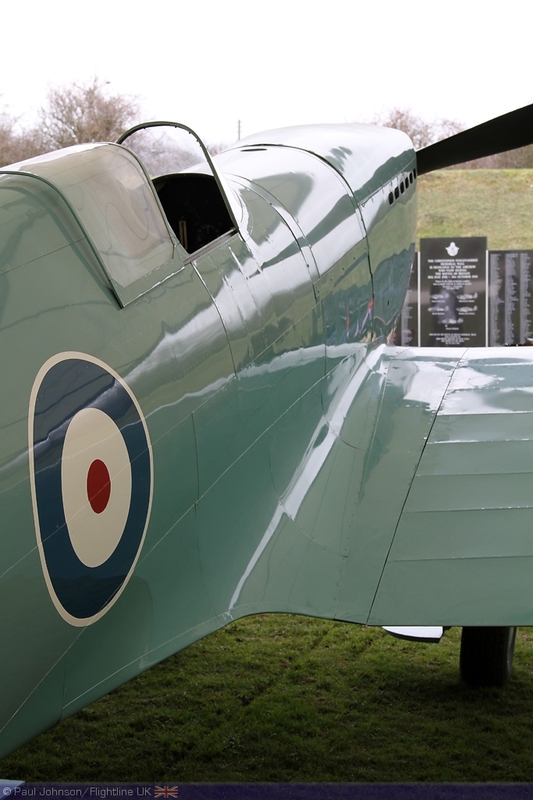 For more information, please visit the following websites: The Spitfire Society - The Battle of Britain Memorial - Fly with a Spitfire.